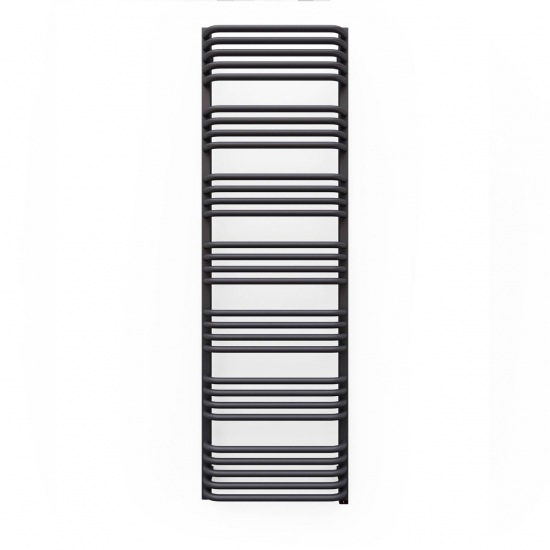 Terma Alex ONE designer electric towel rails provide independent bathroom heating with an industrial flavour - adding style to washrooms, bathrooms, and personal en-suites. Featuring a hassle-free, push-button heating element, the Terma Alex is ready to heat with a simple touch. This 800w version is the largest in the range, perfect for spacious interiors and family homes. Terma Alex Designer Electric Towel Rails offer a minimalist, low-key aesthetic for style-conscious homes. Blending easy to use controls with contemporary style, Alex towel rails provide the perfect finishing touch for modern bathrooms. The Alex 800w is able to heat areas up to 9m² and has a 30 rung design for convenient towel storage. The 3D visualisation below is designed for illustrative purposes only. This version of the Terma Alex ONE will feature an integrated electric heating element, rather than the dual-fuel elements shown in the visualisation.